Our Cree culture guides us to “be humble in all that we do” because humility is one of the main seven tee-pee cultural teachings. At the same time, it is an excellent practice to praise our children to encourage them to be the best they can be, as we all have unique abilities and talents that we can contribute to our families, friends, & community. This is our moment to praise our community members so that the younger generations can see that they can Reach for the Stars & Follow their Dreams! Tansi, I am Jason Steinhauer a proud Saddle Lake Band member interested in completing my Business Administration Diploma (Management Stream). I am an individual that believes education is the only way to improve our community both economically and in the social issues area. I started my educational journey in 1997 when my late musum William Brertton dropped me off at Portage College in Lac La Biche and have not stopped or given up since. I have since attended Portage College, NAIT, and Keyano College. Basic philosophy in life? My basic philosophy in life is simple, choose big goals, and work each day toward achieving the goals. Advice to others that are contemplating on going back to school or just starting… For those preparing to go to school, be prepared for this educational journey for it is not an easy road. There are many challenges that must be overcome (even on a daily bases) in order to succeed. Do not give up, even if you fail get back up and try again. Be proud that you are trying to help yourself, your family and Saddle Lake Cree Nation by obtaining a higher education. I wish all of this year’s students a good and successful year in college. 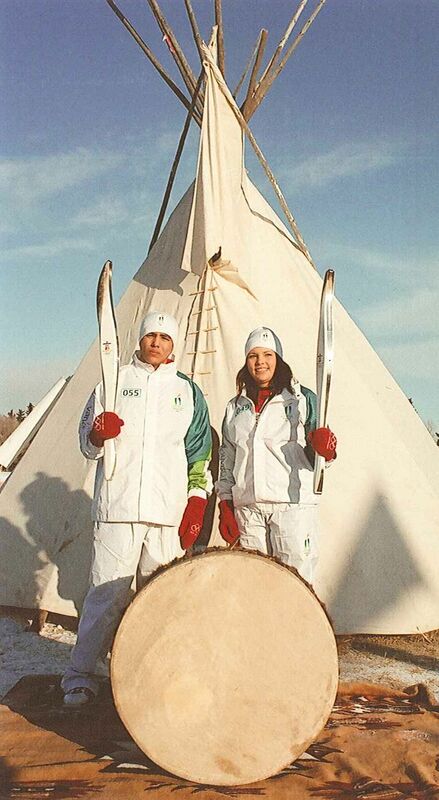 On January 13, 2010, I was honored with carrying the Olympic flame across Canada. This was an amazing experience and to know that I now am a part of world history. I ran with a group of aboriginal youth that were from Paul Band, Alexis, Enoch, and Saddle Lake Cree Nation (SLCN). This was an astonishing group of young energetic aboriginal youth and I am glad that I was able to share this opportunity with them. Also having the support from my family, friends and community has made my experience incredible. I like to thank everyone from Saddle Lake that came out and supported Desmond and I in Vegreville, AB. I also like to thank my parents Victor & Tina Houle, and my mom and dad Mary & Eli Brertton. This will always be an experience that I will never forget and knowing that I had the support from everyone. We wanted to send a huge Congratulations to Janice Makokis for receiving the FAAY Bursary and getting accepted to do her Internship with the Osgoode Hall Law School’s Intensive Program in Aboriginal Lands, Governments and Resources. 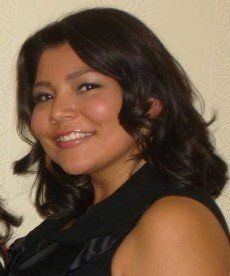 She was fortunate to be placed at the “International Indigenous Women’s Forum” in New York City. It is closely affiliated with the “United Nations Permanent Forum on Indigenous Issues (UNPFII)”. She will assist in the coordination of various activities related to: the Beijing 15 conference in March on Violence Against Women (An International Women’s Conference) and also prepare for the April UNPFII Forum Meeting (where Indigenous nations/peoples from all over the world will convene in NYC to discuss issues related to governance, law, self-determination, women’s rights, land, etc. in their respective countries). This is an excellent achievement for Janice, her family, and a positive reward for our community. Maintain Community Pride, you go girl! Pursuing my degree in International Studies at Simon Fraser University over the past year has exposed me to the diversity of First Nations cultures present on the West Coast. In an attempt to keep connected to my roots, I applied for the Aboriginal Youth Internship Program (AYIP) last spring and was offered a position in the program. My intention is not only to be an Aboriginal voice in government but to integrate my experiences as a Cree youth to the projects I will be involved in. Pushing back my graduation one year in order to pursue this AYIP position has allowed me to join a group of 25 Aboriginal youth for a 12 month internship with the British Columbia government. Our internship begins with a nine month placement in a ministry followed by a three month placement with an Aboriginal organization. The AYIP program is designed to increase leadership capacity, education and career opportunities for Aboriginal youth. Throughout our internship year, the Aboriginal youth interns contribute to several important projects and initiatives, including developing youth engagement strategies, researching policy initiatives, creating diversity workshops, and assisting with various communications strategies and approaches. Placements are specific to each intern’s interests and abilities. My current aspiration includes law school, as I am interested in Indigenous rights and care about strengthening Indigenous knowledge in contemporary justice systems. I was therefore, pleased to be placed with the Victim Services and Crime Prevention Division of the Ministry of Public Safety and Solicitor General. Working primarily in the Crime Prevention Unit, I have been assigned to the Division’s Restorative Justice Program. My involvement in this area has given me a sense of connection to my First Nations roots, as restorative justice is closely linked to Indigenous values and traditions. In addition, my passion for international Indigenous issues coupled with the learning I am gaining of restorative justice practices is helping me see new possibilities for my future focus in the field of law. The new understanding I am gaining from within the government system in addition to my perspective as a First Nations person will benefit both my own career and also the community I serve. 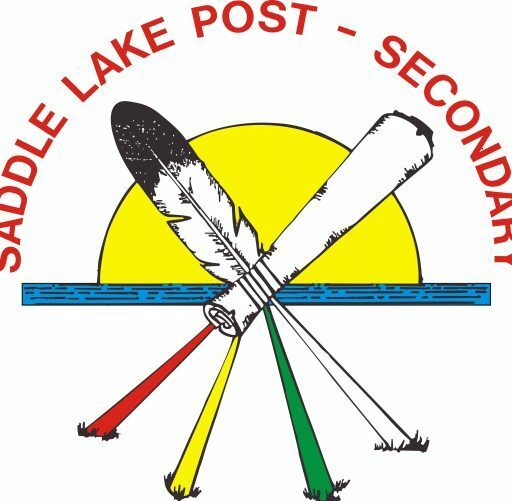 I am grateful to Saddle Lake Education Authority for supporting my education in this way as I now have the opportunity to contribute my current skills to this AYIP placement. 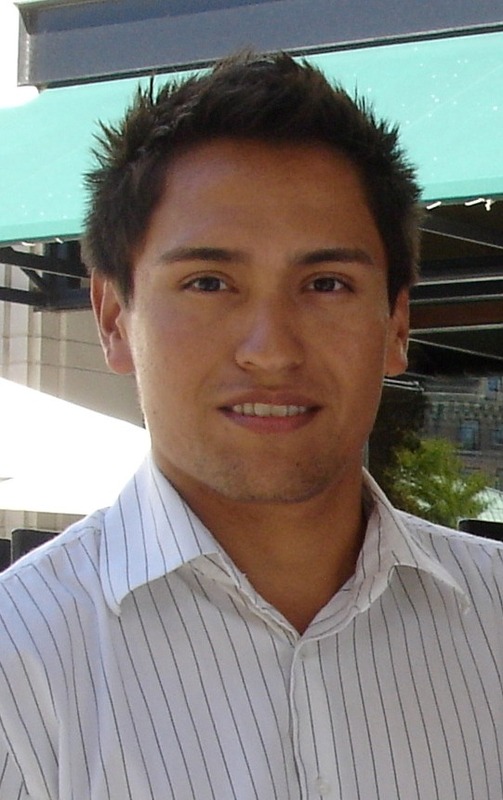 Hi, Joel – Congratulations on your internship and also on your winning the Aboriginal Essay contest. Would you be willing to share your essay with First Nations students? I’m looking for First Nations content for my Comm12 and English 12 students, many of whom are Aboriginal. I’d also love to read it. My email address in my post is incorrect. It’s melissa_holloway-bacon. The first dash should be an underscore.